Member Services: Special Programs. Take Action on Health Care. Join the HEAT campaign. 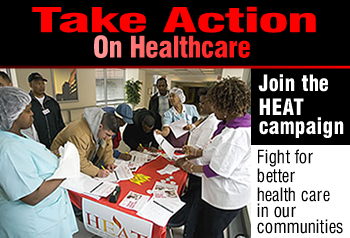 HEAT activists from DC 37 and other public hospital unions are part of the grassroots fight for better health care in our communities. To learn more and get involved, click on the links below. Check back here for actions you can take to keep HHC surviving and thriving for years to come.